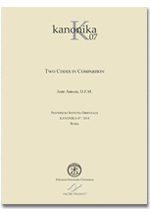 Two Codes in Comparison represents a response to the repeated call of Pope John Paul II for comparative studies of the Eastern and Latin Codes. 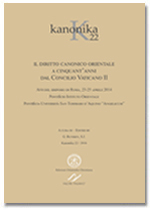 His Holiness urged such studies in order to promote a knowledge of the “one Corpus Juris Canonici” of the universal Church. 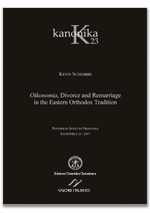 This work contains nine such studies regarding the corresponding Eastern and Latin norms that govern the consecrated life, marriage, general norms, temporal goods, and procedure. 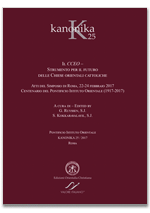 In the light of the Holy See’s Explanatory Note regarding CCEO canon 1 (December 8, 2011) and Pope Francis’ motu proprio De Concordia inter Codices (September 15, 2016), comparative studies of the codes have assumed even greater importance. 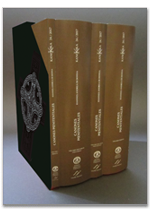 For this reason, three pertinent articles (chapter 10-12) have been added to the third edition of this book. The comparative studies’ findings clearly indicate that, while parallel Eastern and Latin canons are sometimes similar, the two Codes are simply not the same. A knowledge of the Codes as different, however, is not the only reason why comparative studies are useful. The autbor shows that knowing these differences is often necessary and a matter of practical importance. This will be true, for example, in cases of interritual marriage, in providing for the pastoral care of Eastern Catholics entrusted to the care of a Latin bishop, or even in applying different procedural rules when Latin canonists serve on an Eastern tribunal. It is also evident from the studies’ findings that the Eastern and Latin Codes are not so distinctly separate as to be unrelated. 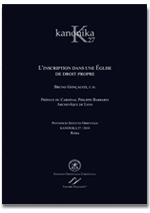 The author explains that there are Eastern canons which expressly (explicitly/ implicitly) also affect the Latin Church. Comparative studies, then, serve to define more clearly the interrelation between the two Codes. 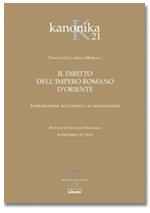 On the basis of his comparative studies, the author is convinced that canonists are only beginning to reap the benefits that were evidently intended by the pope’s call for such studies of the Eastern and Latin Codes. 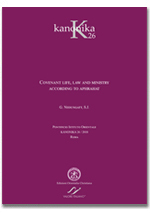 Just as the East and West breathe life into the one Church, it will be important for future comparative studies to determine the extent to which the Eastern and Latin Codes are similarly interrelated in the Church’s one body of canon law. JOBE ABBASS, O.F.M. Conv., born in 1952 in Sydney, Nova Scotia, received his B.A. from Carleton University, Ottawa, Ont., in 1972 and his LL.B. from Dalbousie University, Halifax, N.S., in 1975. He was admitted to the Bar of Nova Scotia in 1975 and practised law until 1979. A member of the Conventual Franciscans’ Our Lady of the Angels Province (U.S.A), Fr. Abbass received his M.Div. from St. Anthony-on­Hudson, Rensselaer, N.Y., and was ordanied to the priestbood in 1985. He is an Attorney in the State of New York, having been admitted to the New York Bar in 1984. After two years in pastoral ministry, Fr. Abbass studied at the Pontifical Oriental Institute in Rome where be received a Licentiate in Canon Law in 1989 and his Doctorate in Canon Law in 1992. Fr. Abbass assumed a full-time teaching position on the Faculty of Canon Law of the Pontifical Oriental Institute in February 1992 and taught there until 2004. From 2004 until the present, Fr. Abbass has been a tenured, full-time professor on the Faculty of Canon Law of Saint Paul University, Ottawa, Canada.